When someone takes a swig from their favorite beer, they may not realize that brewing beer is an energy intensive process. But brewing companies that desire to reduce their carbon emissions are well aware. 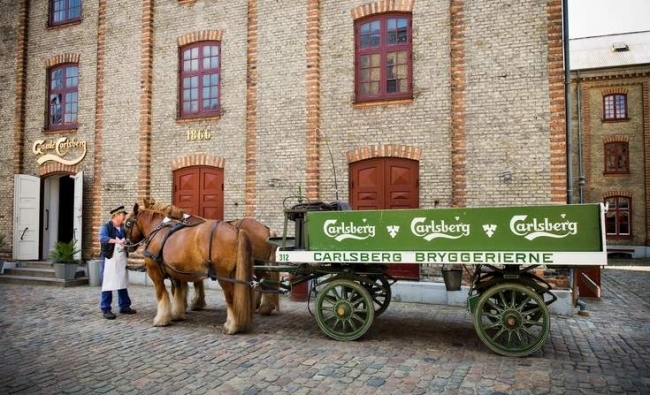 Carlsberg Group, a global brewer headquartered in Copenhagen, Denmark, has set a lofty goal of powering its breweries with only renewable energy by 2022. Call it the company’s "100 percent renewables by 2022 goal." In 2016, about 45 percent of Carlsberg’s electricity came from renewable sources. The company extracts biogas from the waste water produced at over 18 of its breweries around the world. In India, Carlsberg installed three rooftop solar systems that will supply 10 percent of that site’s total power needs. It buys third party renewable energy certificates with guarantees of origin when it can’t produce its own renewable energy. Solar and heat recovery are technologies that Carlsberg has invested in. The company installed solar panels on the rooftop of its Dali brewery in Yunnan, China which meet about 20 percent of its electricity needs. That solar power installation will help the company reduce the over 1,800 tons of carbon the brewery emits annually. The solar array consists of 8,006 panels—the company’s largest rooftop solar array and the fourth largest one globally on any brewery. Carlsberg uses heat recovery at its Sinebrychoff plant in Finland to reduce its energy use by nine percent since since 2005. Heat that amounts to about 15,000 megawatt hours (MWh) is recovered annually from the plant’s processes such as its beer cooling systems, compressors and wastewater. The energy recovered is used in production and to heat buildings and offices. Solar and heat recovery are not the only types of renewable energy Carlsberg is investing in. During the company’s week-long celebration of its 170th anniversary in August, it opened the Zero Carbon Windmill Bar in Copenhagen. The bar is powered in full by an integrated windmill and an attached bicycle that consumers can use to generate enough power to pour their beer if there is no wind. Carlsberg is in good company as other brewing companies have decided to embrace renewable energy. Earlier this year, Anheuser-Busch InBev (AB InBev) committed to securing all of its purchased electricity from renewable sources by 2025. As part of the commitment, AB InBev will secure 75 to 85 percent of electricity through directing power purchasing agreements, and 15 to 25 percent will come from on-site renewable energy. Can beer be produced by harnessing the power of the sun or other renewable energy sources? Companies like Carlsberg and AB InBev prove the answer is a resounding yes.